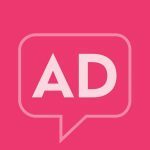 The Editorial Team at AtopicDermatitis.net is highlighting people in the eczema community and their healing journeys in a series of Instagram Interviews. We talked to Zai, aka @tsw_beezeebuzz, also known as IAmBeeZee on YouTube. Zai shares her eczema story, and how posting skin updates and wearing makeup has helped her cope and feel more confident. I have suffered from eczema all my life. My mum said the doctors started me on steroids when I was about 6 months old. My eczema fluctuated through my life, I did have times of almost normal skin but ultimately I always had eczema. When I turned 21, my whole body broke out in really sore, itchy, angry looking eczema and I had no idea what caused it. I went to the doctors for more steroids and it eventually cleared after a few months. Since then, I really started limiting my steroid use, only using it on affected areas but also mixing it with my moisturisers to dilute it, but over time, my eczema kept getting worse. It started popping up on my face and was sore all the time. The creams weren’t working no matter how often I applied and that’s when I found out about topical steroid withdrawal (TSW). I stopped my steroid creams cold turkey on November 6th 2017, and have been healing ever since. Editorial Team: What is one thing you wish you knew before starting TSW? Zai: The only reason I stopped using steroids was because someone made a comment on a video I made about eczema. Prior to this I had NO idea that my medication could make my skin worse. I wish doctors would tell patients that long term use of steroids is not only bad for your health but its also not necessary, it just seems to be a first and final resort for all skin conditions. I wish I knew about the long term side effects from using those creams and not only the short term benefits. I also wished I was more prepared. I received the comment and the very next day I stopped using the creams so I didn’t have time to plan for the months of pain, I was literally learning as I went along. I really wasn’t ready for the physical and emotional stress I went through, I just did it because I had no other choice since the steroids were no longer working for me. Editorial Team: How has posting skin updates on YouTube and Instagram impacted your healing journey? Zai: I was never that person who would talk about or show my skin. Growing up I would also cover my hands and chose longer sleeves to hide. Making videos about eczema and documenting my journey is really out of my comfort zone, but it’s been the best thing I’ve ever done. There are only 2 people that I know that have eczema so the vast majority of my friends and family can not relate to what I’m going through. Posting online has connected me to so many people it’s unbelievable. I was also someone who wore make up every single day, never confident in my skin, but I have posted videos and pictures of my bare face, with my scars I’ve developed from going through withdrawal and I’m not ashamed. It’s cathartic talking about my condition rather than hiding it. I feel so humbled when people say that I give them hope or that I’m brave for doing what I do. I’m not, but I think if I had someone to look up to when I was younger, I may not have been so ashamed of my skin. Editorial Team: Some may say that it is best to avoid makeup with eczema. How has makeup helped you maintain an active life during TSW? Zai: I will always be a make up girl, and for the most part make up gave me my confidence, which is usually seen as a bad thing. However, I don’t use make up as a mask in that sense, more like a support. Everyone just wants to look normal and I guess thats what I used it for. I have never been allergic to make up so I used it to my advantage. When I started withdrawal though, my skin was too scaly, sore and irritated to wear make up. I went 6 months make up free just because I honestly looked worse with it on and it was quite refreshing to go out bare faced (except for eyebrows!). When my skin was it its worst, I found myself not making eye contact with people and only leaving the house when I really had to but as my skin improved, that insecurity lessened, even without wearing make up so I began to really appreciate my skin. Editorial Team: Anything else you’d like to add? Zai: I have noticed the majority of people I follow with skin related accounts are female. I do hope the men out there are not suffering in silence and also people of darker complexions, like myself. We tend to scar a lot more than fairer people so its an added hurdle we have to overcome. I just hope that eczema becomes less of an unspoken topic and also not seen as something that is “just a skin rash“. I want people to realised the full impact of eczema from not being to eat certain foods because of allergies, not being able to wear the clothes you want, nasty comments from strangers or just the feelings of isolation, thinking you’re the only one going through this – you’re not. We’re all in this together! Follow Zai’s healing journey on Instagram at @tsw_beezeebuzz and on her Youtube channel, IAmBeeZee!